Misunderstanding of the difference between property speculators and property investors is driving tax policy which will lead to a rental crisis, the Property Institute warns. 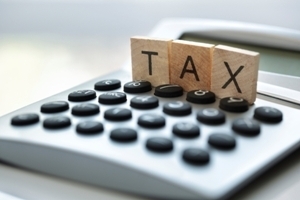 Government plans to change the tax treatment of property investment are well under way. The bright line test has been extended from two to five years, a proposal to change the rules around the tax deductibility of losses associated with the ownership of rental properties is making headway, and the Tax Working Group hard at work. Government ministers say the policy changes are an attempt to level the playing field between speculators, investors and home buyers. But Property Institute chief executive Ashley Church says policies like the “ring fencing” of property tax losses will have a disastrous impact on the property market. It all comes down the fact that the Government continues to misunderstand the difference between “speculation” and “property investment”, he says. “Speculators are people who are in and out of the market very quickly and who seek to make money through renovations or quick capital gain. In Church’s view, treating the two in the same way demonstrates an unacceptable ignorance of how the property market works. Most investment properties eventually become profitable, but without the ability to claim for early losses many investors would abandon the market, or wouldn’t enter it in the first place, he adds. “Private landlords provide the lion’s share of rental accommodation in New Zealand – and in doing so they have saved the State billions over the past few decades. “Scaring them out of the market is foolhardy, bloody minded, and will constitute a massive ‘own-goal’ for the Government”. There is plenty of opposition to the Government’s tax policy changes among investors and their representatives, many of whom feel frustrated by current perceptions about investors. The NZ Property Investors Federation has just released a report by financial economics consultancy Morgan Wallace which is critical of the Tax Working Group’s assessment of rental property investments. It suggests the Tax Working Group is showing an unbalanced approach to rental property investment by using incorrect calculations and inconsistent assumptions to assess relative tax rates for different asset classes. This has left the NZPIF worried that the Tax Working Group has an agenda against rental property and won’t look at tax changes objectively. NZPIF executive officer Andrew King says rental property owners provide people with homes to live in and, as such, they are an essential part of the productive economy. Further, they do pay their fair share of tax with the latest IRD data showing rental property owners have paid tax on rental property income of between $1.3 and $1.5 billion dollars in each of the five years to 2016, he says. Those who do want to have their say when it comes to the Tax Working Group still have until the end of this month, with the public submission period finishing on April 30.